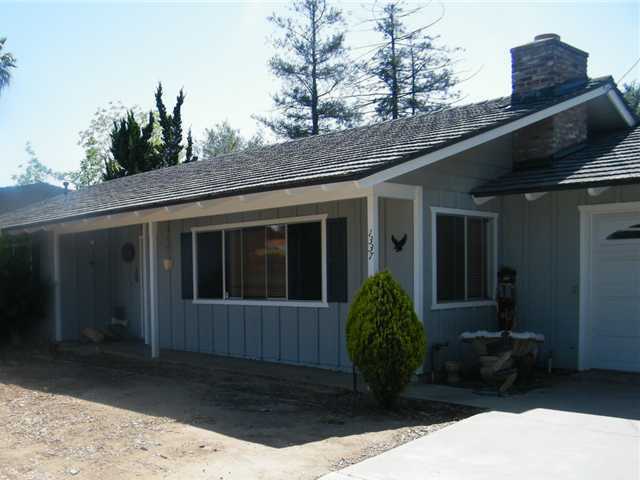 Ranch style charmer on almost 1/2 acre lot with pool and views. Oak Hardwood floors throughout, tile kitchen, carpet in bedrooms. Location! Location! Quiet area on hill above close to schools and shopping. Open kitchen and family room with slider that opens to a covered patio. Privacy and park like view with lush landscaping with a variety of trees (Cedar, Oak, Elm, Almond, Olive, Macadamia, Persimmon, Loquat and others). So much potential here!